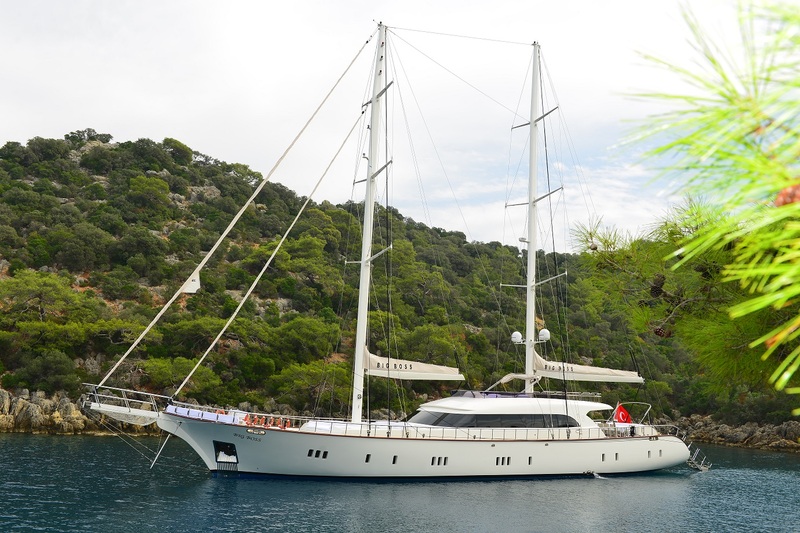 Built in 2013, the 36m (118ft) custom Gulet BIG BOSS, offers crewed yacht charters in the Eastern Mediterranean. 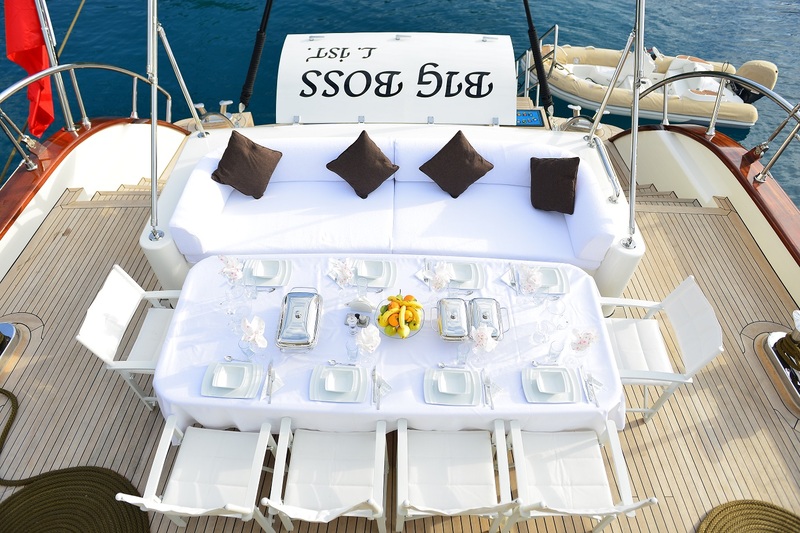 S/Y BIG BOSS boasts accommodation for up to 10 charter guests, in 5 en-suite cabins. 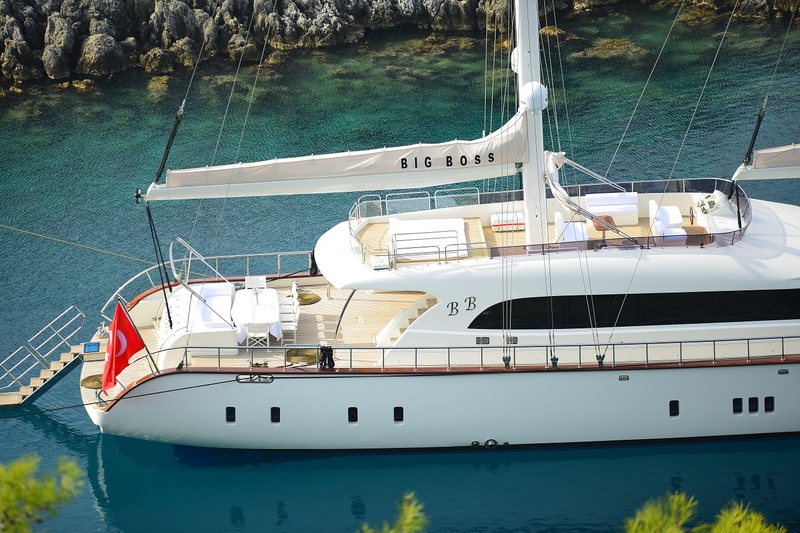 Charter yacht BIG BOSS is the perfect choice for large groups wishing to entertain, as well as families looking for a relaxed sailing experience. 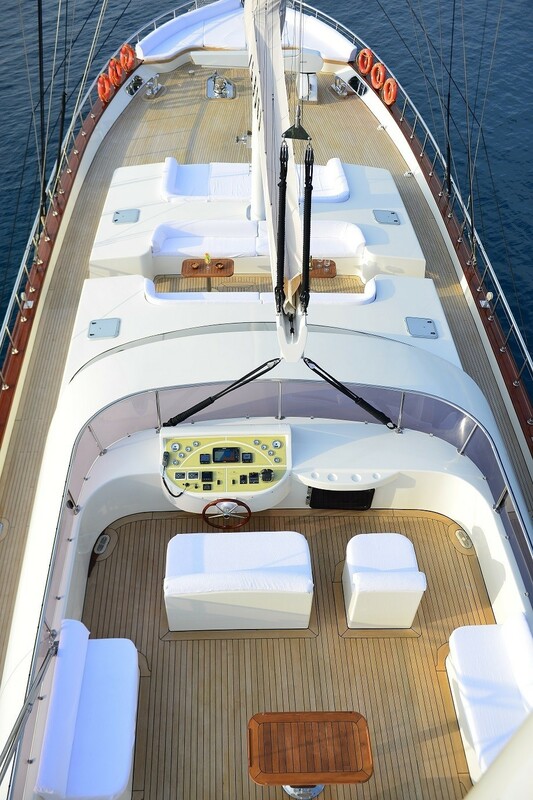 Sailing yacht BIG BOSS has a neutral interior décor, featuring high quality joinery, soft earth toned furnishings and a soothing calm ambiance. The salon and dining are in the raised cabin house, wrap around windows provide plenty of natural light and uninterrupted views. The lounge and formal dining are a modern open plan, optimizing the spacious atmosphere. 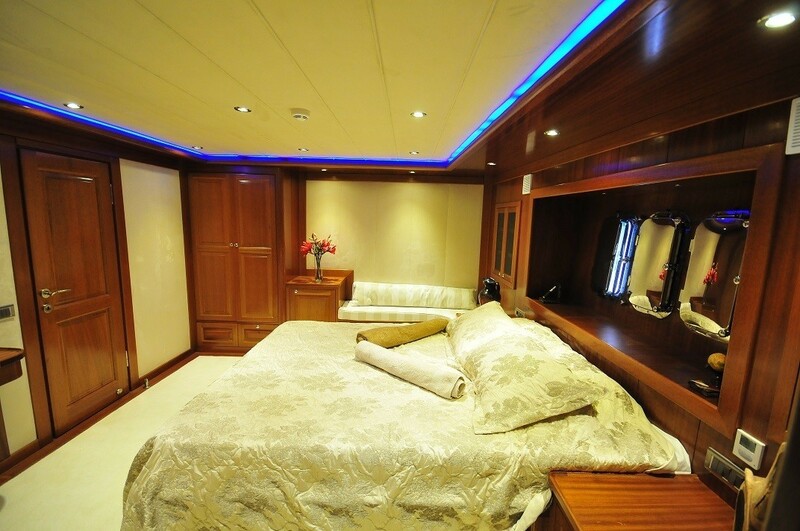 Below decks are 5 generous cabins, each with TV entertainment, mini bar and full air conditioning. 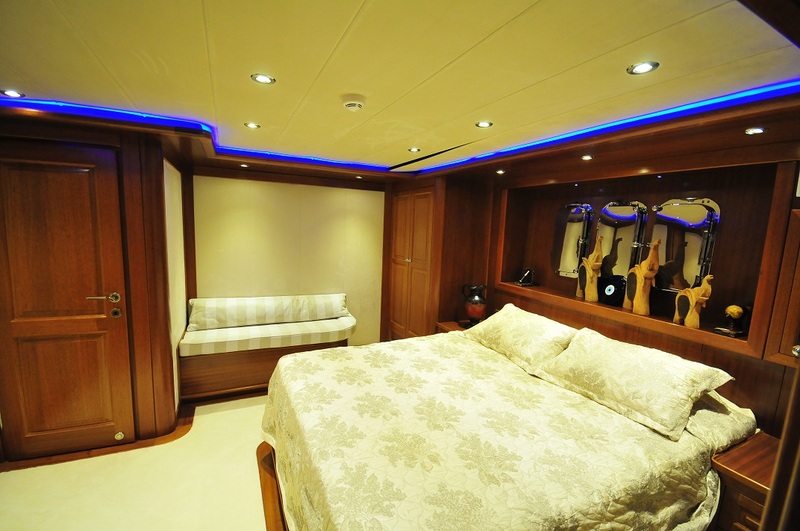 Crewed charter yacht BIG BOSS offers great exterior living space. 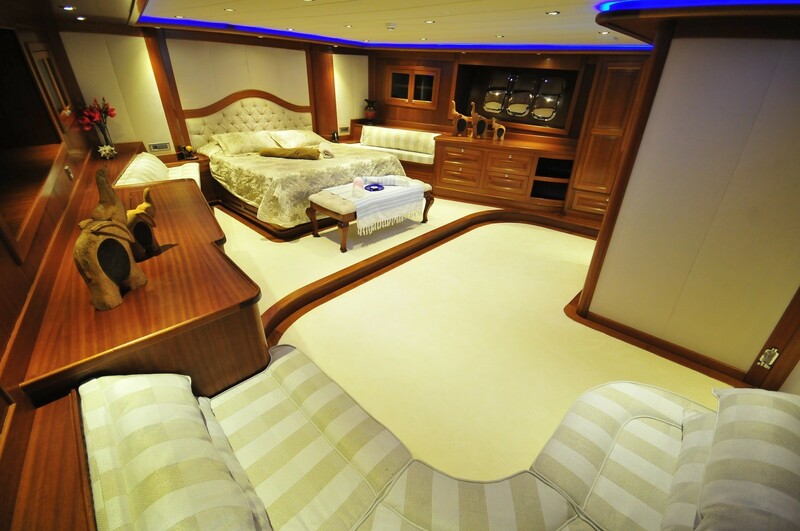 The main deck has 360° access, allowing guests to walk fore and aft with ease. 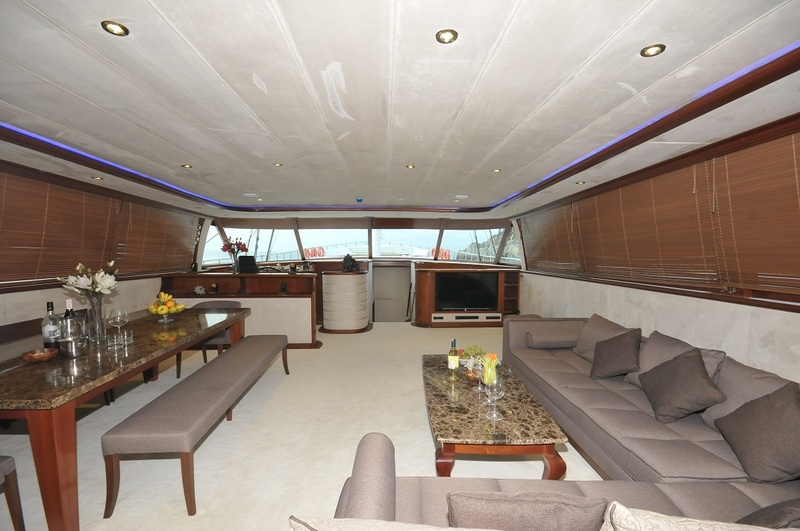 The aft deck features a partially shaded area, followed by an alfresco dining option and large sunpad. 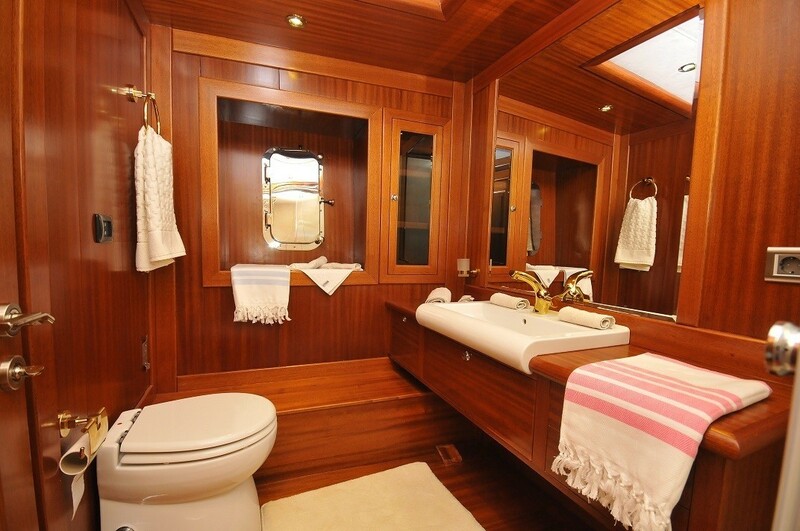 Further aft, the wide transom is ideal for water enthusiasts. 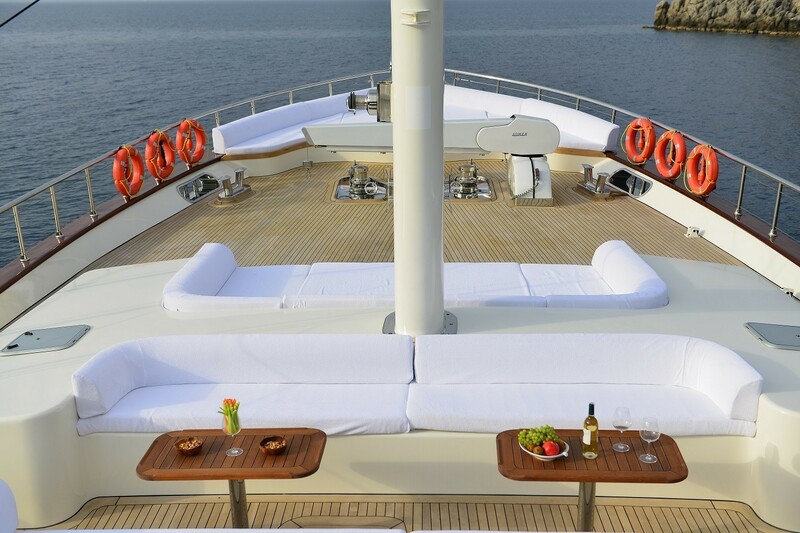 Port and starboard side decks lead to the spacious foredeck with ample seating, sunpads and alfresco cocktail / lounge area. 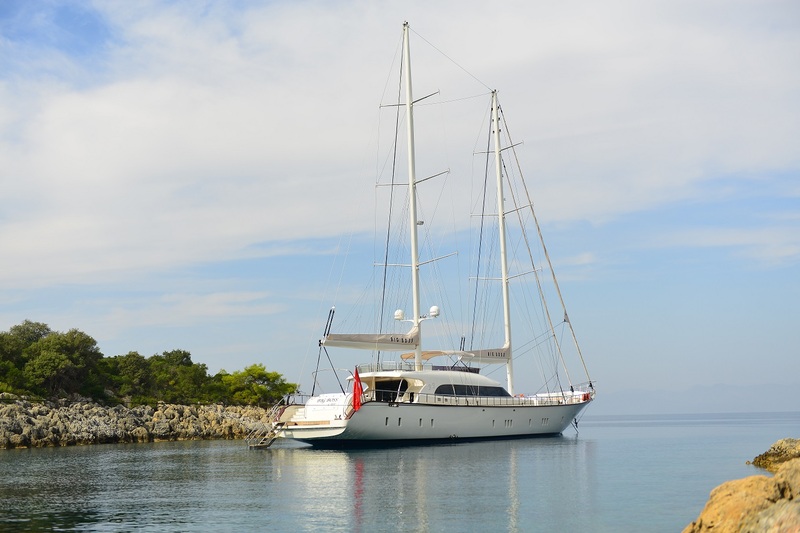 Above the main deck, S/Y BIG BOSS boasts a flybridge, complete with sunpads, seating and spectacular views. 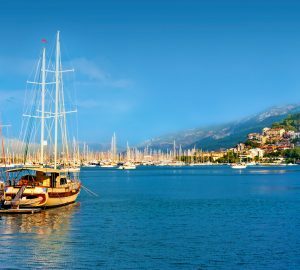 The schooner rigged Gulet BIG BOSS has a beam of 8.5m (27.8ft) and a draft of 3.5m (11.5ft), she is powered by 2 Volvo 600hp engines. Charter yacht BIG BOSS can accommodate up to 10 guests in 5 en-suite cabins, each with full air conditioning, TV, mini bar and ports, for natural light. 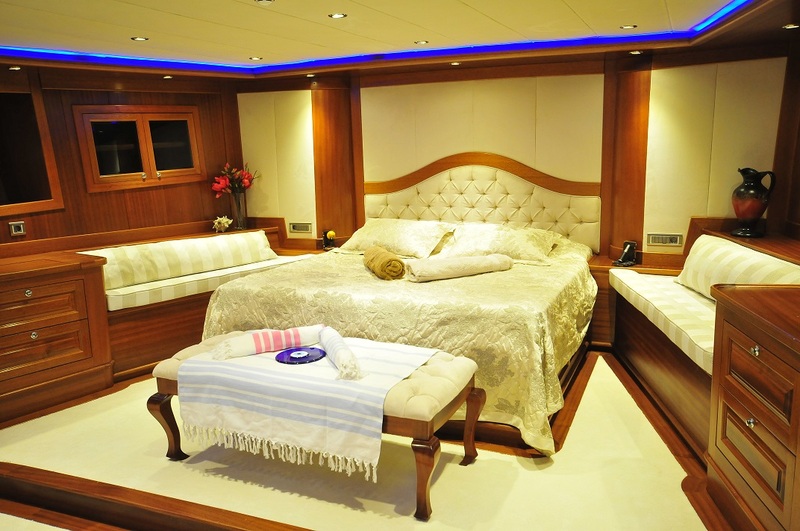 A master stateroom is forward and full beam of the yacht, offering a center lined king size bed, sofas and vanity. 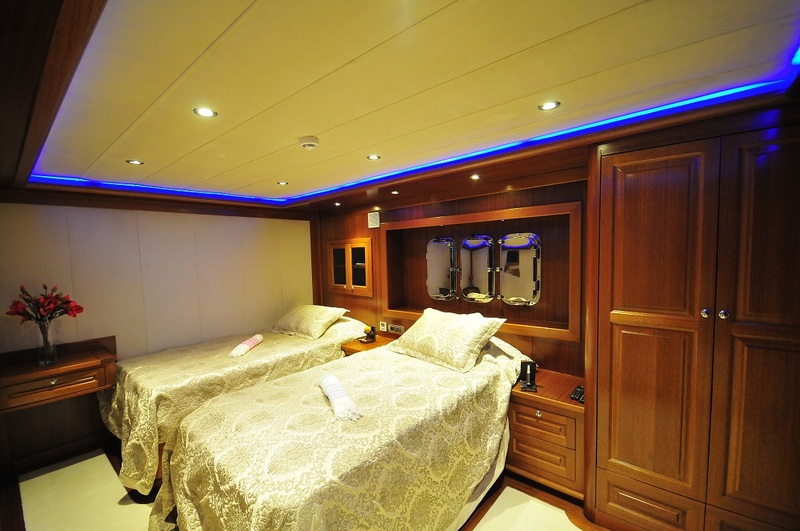 Three double cabins have queen size walk around beds, sofa and vanity. 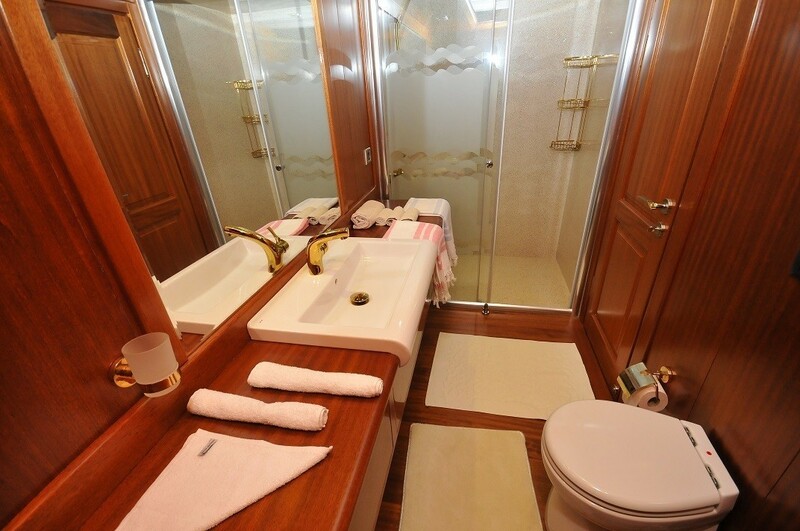 A guest cabin has 2 side by side twin beds and a vanity.